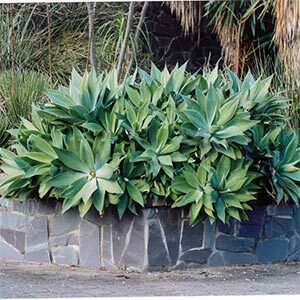 A succulent plant, mostly originating from Mexico. This is the smaller variety with light green to grey green leaves approx. 60 cm long. 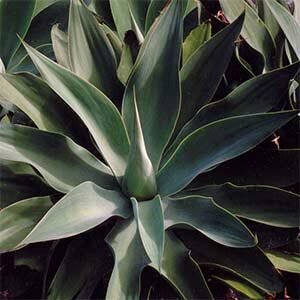 Forms a perfect rosette and has a tencancy to lie to one side. Suits poor, dry conditions. Evergreen. 1x1m.